Going to Goa is very fun filled with excitement for many, but we need to have travel facilities such as Airlines travels to Goa, Personal Car trip to Goa, Going to Goa by buses or Going to Goa by train. There are two ways to be found best to reach Goa without any physical and mental tiredness, one is by flight to reach Goa and another one is by train. Going by flight is easy, as there is frequent schedules available, but you have to spend extra money compared to train. But, the benefit is, you can save time by flight journey than train. 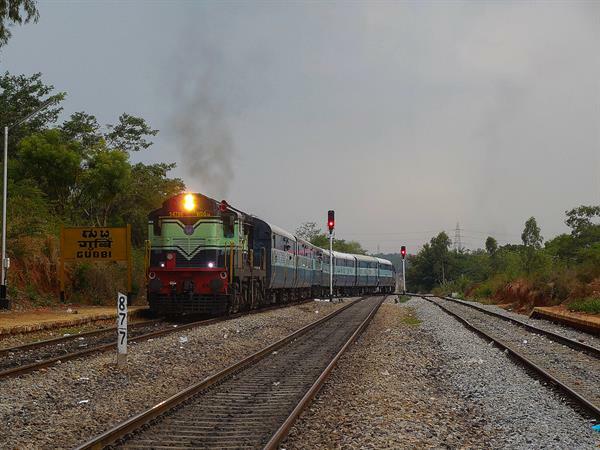 If you would like to travel by train From Bengaluru to Goa, then there are just three direct trains from Yeshwantpur / Bangalore (and not from Bangalore city railway station) to Goa per week that too you have to book ticket in advance or early days to get your sleeper class or A/C coach 3 tier etc. This again, needs to be confirmed against waiting list or RAC (reservation against cancellation). 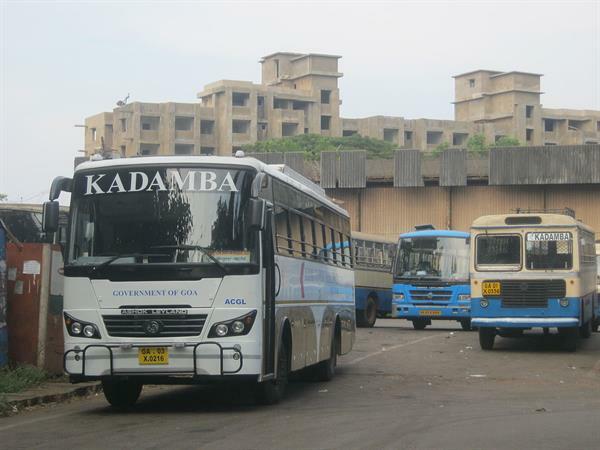 Those who would like to travel by bus has plenty of Bangalore to Goa buses available. If you wants to travel by Bangalore to Goa trains only then you have got still chances to reach Goa other than three direct trains, I will explain you how you could reach Goa from Bangalore by train, that is I can say indirect trains or two trains you have to catch, this is OK for bachelor or family members if you would like to do so, another one is one journey by train and then break journey from bus. How? Link train to Goa from Bangalore by daily train? To get this facility, you have to get (booking ticket to this train is dependent on your choice of booking sleeper or 3 tier or general class etc.) the train from Bangalore City railway station that 9:15pm Kolhapur train daily or Jodhpur / other station link train leaving at 9:55pm daily (as per June 2011 schedule) which goes to Kolhapur and you have to get down in Londa junction which the train will reach there exactly at 7:25am next day early morning (if there is no tech or other issue), once you get down in the Londa junction, you may travel by link train from Londa junction to Goa (please cross check the train and time once again before booking / leaving from Bangalore to avoid disappointment of connection train from Londa to Goa), at present, there is a train from Londa to Goa at 10:40am on Monday, Wednesday, Tuesday and Saturday. How to reach Goa from Bangalore by both train and bus? This is typical journey, one can travel on his own will and risk but at the same time it is not harmful or dangerous but still little disappointment you may face while you travel from Londa to Goa by bus as you have to get the bus then cross the hills station for at least 3.5 hours journey for 110 kms along with traffic near Ponda / Goa. First let me explain you on this, you can get the same 9:15pm Kolhapur train daily or Jodhpur / other station link train leaving at 9:55pm daily (as per June 2011 schedule) from Bangalore that you have to get it down at Londa junction next day early morning, once you got it down from Londa railway station, you may simply go right side and pass the way toward small road or street where you can ask anyone that where is Bus stand, it is just walkable distance or you may get auto for elders to reach to Bus stand, you have to wait for the buses to reach Goa as it is scheduled for half or one hour gap. Also check out: When and where to visit at Goa? This is about Londa to Goa by bus trip and Londa to Goa bus fare is Rupees 66 (as per June 2011 schedule) and its is about 110 kms with 3.5 hours journey also you may get bus from Londa or you may get share cab trip from Londa to Goa if you desire to travel with strangers to reach Goa. However, if you would like to reach Goa by bus from Londa, then simply get it in upon Bus arrival and pay the ticket then relax through a hills trip and I hope you may enjoy this natural trip as you can take some snap on the way to experience and remember your travel. Please note: You may come back to Bangalore from Goa in the same way or direction if you wish, only one thing is if you have short time and shortest visit to Goa from Bangalore or vice versa, then, you can travel in both – I mean you can enjoy travel from Train and bus for To & Fro via Londa junction safely. Also, possible that bus from Goa to Londa may stop on the way in Londa highway itself instead of Londa bus stand, still don't worry as it is walkable distance from Londa highway stop to Londa junction and recommended auto drives from Londa highway to Londa junction for elders. All the best for your pleasant trip to & fro Goa. Goa is famous for it's beaches and natural beauty. Have a good time enjoying it.